There’s no question that freelancing can be a great way to earn an income and a larger percentage of millennials than any other generation are “setting up shop” as freelancers. What’s interesting is that many freelancers don’t consider themselves to be in business. There still seems to be a distinction between a small business owner and a freelancer but there’s no doubt about it, a freelancer is a business owner. If you work for yourself in any capacity, you’re a business owner, even if you have no employees and work from home. 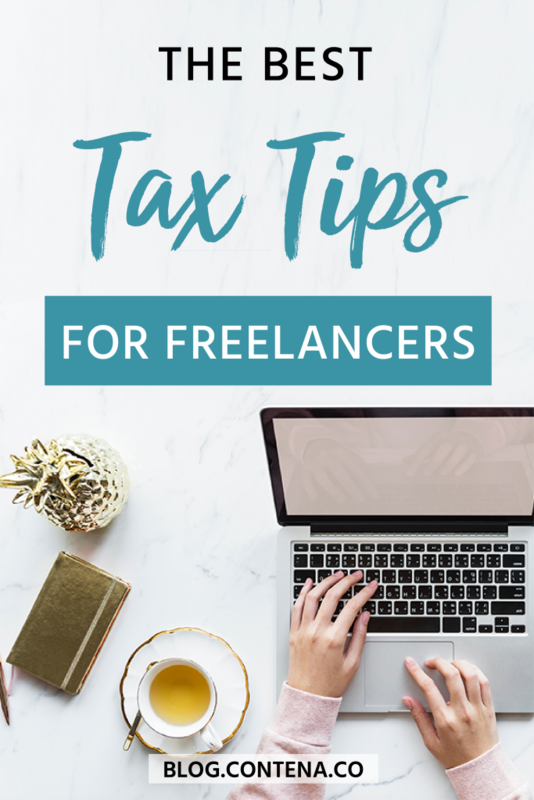 Starting a freelance business is pretty simple, but what a lot of freelancers don’t realize is that filing your taxes can be quite complicated. Yes, you do need to report your freelance income! We’ll get back to filing your taxes but for now, let’s focus on a few basics. Do I need to register my freelance business? If you are operating under any other name than your own legal name, then yes, you need to register your business and you may need to register it with multiple authorities depending on where you live. The easiest way to find out if you need to register and where to file the paperwork is to check with your accountant. I often get asked about when business owners should incorporate. This is completely different from registering your business. Incorporating your business isn’t usually necessary until you are making enough money that you have some left over after all your business and personal expenses have been paid. It’s expensive and requires annual tax and legal filings. If you’re spending all the money you make in your business, then there may not be any tax advantage to incorporating your business. The tax laws in your area can affect this, so it’s always a good idea to check with a professional accountant who is familiar with the tax laws that apply to you. Years ago, a number that was thrown around as the point in which a business should incorporate was $100,000 in gross sales. 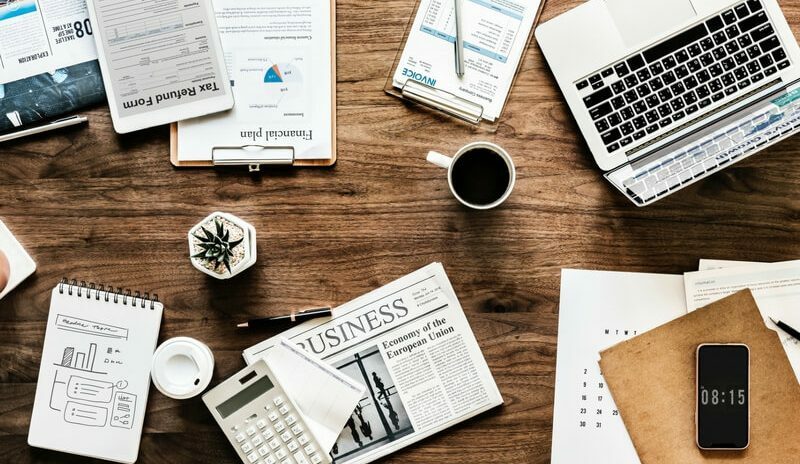 There is no hard and fast rule as to when you should incorporate your business because each tax situation is unique and the decision to incorporate should be based on your own personal tax situation. A professional accountant can look at your situation and determine whether or not you might save tax by incorporating. Another reason some people choose to incorporate before they’re ready or before it’s necessary is to avoid any potential liability. You can’t always avoid legal liability simply by hiding behind a corporate entity so in this case, you’d want to consult with a corporate lawyer to make sure you know the legal advantages to incorporating your business. Regardless of whether you are incorporated or not, a business bank account is key to keeping business income and expenses separate from personal income and expenses. Many freelancers feel like they can save the high business bank account service charges by simply running everything through their personal accounts. Running your business income and expenses through your personal bank account will make it very difficult for you to keep track of your business expenses. Freelancers frequently miss claiming eligible business expenses that can reduce their tax bill. Opening a separate business bank account will make it a lot easier for you to keep track of these expenses. If you have a lot of expenses, you may also want to consider having a business credit card that you only use for business. What kind of expenses can I deduct on my tax return? Anything that’s for the sole purpose of earning business income can be deducted against your freelance income. A good way to think about business expenses is whether or not you would have purchased the item if you didn’t have your freelance business. Think about whether or not the expense is necessary in order for you to earn money. Some common business expenses for freelance writers include bank charges (for that business bank account you set up), memberships (like the one you paid to join Contena in order to access freelance writing jobs), and fees paid to your accountant (for their excellent tax advice). There are other types of expenses that are not 100% for business purposes. For example, as a freelance writer, you need somewhere to actually put your words. This is likely your computer or laptop. You also need an internet connection so you can communicate with your clients and send them your work. These two items are also going to be used for personal activities (unless you have a separate computer and internet connection for that). These are called incremental expenses which means you can only claim the portion that is related to your freelance business. A readily accepted way of determining how much of an incremental expense to deduct against your business income is to find a reasonable way of tracking what portion of the expense is related to business use. For your computer, it could be the percentage of time you use it for business versus personal activity. The deductible portion of your internet connection will fall under the category of “business use of home” expenses. Being able to work from home is part of the attraction of freelancing. That, and possibly working in your pajamas! Business use of home expenses are one of the most commonly missed expenses when freelancers are preparing their own tax returns. You can claim business use of home expenses if you meet clients in your home on a regular basis or if your home is your principal place of business. So, if you like to write at your local coffee shop and that’s where you write the majority of the time, then claiming the business use of home deduction isn’t an option for you. Under the business use of home deduction, you can claim a portion of your utilities, house insurance, property taxes, rent or mortgage interest, and repairs and maintenance. The amount you can claim is based on the percentage of your home (usually based on square footage) you use for business. The rules differ slightly depending on where you are located so make sure you check with a tax professional familiar with the rules that apply to you. There is also the potential for business use of home expenses to conflict with other types of tax credits (such as the principal residence exemption) which is another good reason to check with a qualified accountant if you’re not sure claiming them is the best move for you. Do I need to keep track of my business income and expenses? Once you start making money as a freelance writer, you’ll want to make sure you start tracking your income and expenses as soon as possible. Not only does tracking your income and expenses on a regular basis make things so much easier when it’s time to file your tax return, but it also gives you a lot of insight into whether or not you are meeting your income goals. I recommend you update your income and expenses every two weeks (monthly at the very minimum). Accounting apps make record keeping super simple. My favorites are Wave and Xero. Wave is free and even has a phone app that lets you take pictures of receipts and log them into your records. Accounting apps also let you grant access to your accountant so they can view your income and expenses and get any reports they need in order to prepare your taxes. While there are a number of do-it-yourself tax return preparation programs out there, I don’t recommend freelancers prepare their own tax returns unless they are familiar with the current tax laws in their country. Tax laws change all the time and it’s really easy to miss deductions and end up paying more tax than necessary. In addition to keeping record for the current tax year, you need to consider how long you keep all your tax records and related items like receipts. A good rule of thumb for record retention, whether you have digital or paper-based records is seven years but it’s always a good idea to check with your local tax authority or professional accountant. You need to keep EVERYTHING! If you are ever audited, the burden of proof is on you which means you need to prove you were eligible to claim the deductions you did so keep your itemized receipts (not just the one that the credit card machine spits out), statements, and any other records you used to record your income and expenses. Your accountant can help you with this as well. Freelancing comes with a fantastic opportunity to make a lot of money. Make sure you plan for the time when you need to pay taxes on your freelance income by keeping your business and personal expenses separate, tracking your income and expenses, claiming all the deductions you are eligible for, and working with a professional accountant if any of these areas are unclear to you.